Enter a username of your choice here. 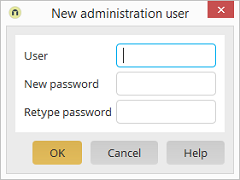 The usernames for administration logins have no correlation to the usernames of other administrators (e.g. from the User Manager). The name is completely free choice. 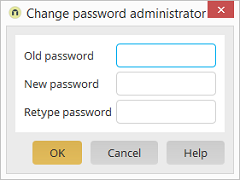 Extras menu / Administration logins Manage administration login / Click on "Edit"
Enter the new password and repeat it.